Agnes Kampire is Fontes Foundation’s project coordinator for the safe water and scholarship programme. She recently spent six months in Rwanda as a part of our FK Norway/NOREC staff exchange project with Amizero Training Institute. She was one of the final participants in the project, which has been running for three years. Here she is reflecting on her experience. During my exchange, I was given an opportunity to lead many people, some much older than me and more intelligent in their line of work. There is one great lesson I have taken from the exchange; “Do your very best wherever you go”, so that when you leave, your employers will have a hard time replacing you and your contribution will be highlighted. Going on exchange gave an opportunity to lead and make changes. Not that I did not have this before, I did, but having a different setting really boosted my professionalism. On top of my experience back home, I now have added something new. Working in a different organisational culture, and with people older than you, is a chance to learn and grow. In my behavioural change, I learnt to listen intently and to respect people’s opinions, to give people a chance to express themselves no matter how wrong they may sound. 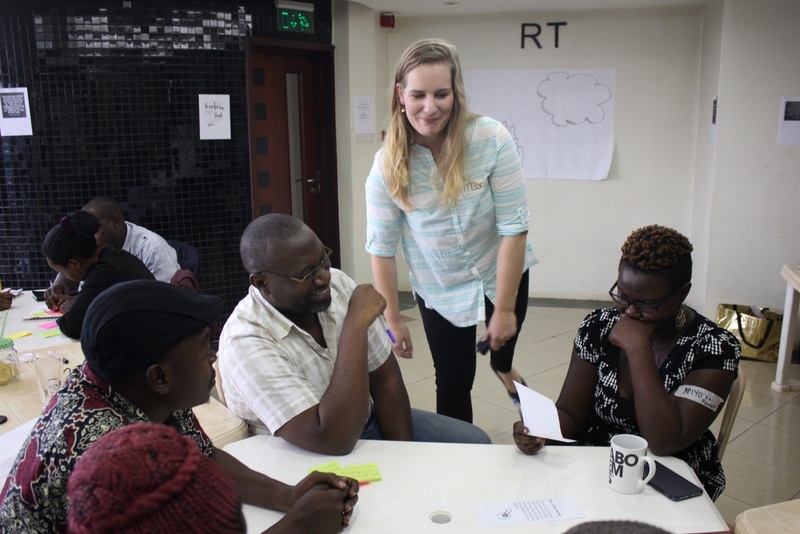 Julius Kamukama and Agnes Kampire during the FK Norway/NOREC training in Kampala in November 2018. I somehow managed to put my priorities right during my exchange. So often we get soaked in the fact that we need to work but we forget why we need to work. Being on the exchange gave me time for reflection and self-realisation. There are things I used to know and I practiced on a daily basis, but not for once did I really take time to reflect on their impact on my life and the lives of others. I know that all my dreams are real and where there is a will, there is a way. My advice to young people out there, especially those on exchanges, I challenge you to self-assess where you are and find your way to a more comfortable space of total integrity and optimal self-growth. East, West, home is best. The exchange taught me that we all are equal and each person has a contribution to make in this space we call life. I have learnt to reflect on that fact and I therefore treat people with respect, and love giving everyone a chance to contribute what they know. It is good to be back to my country and to my organisation; so much contribution awaits. What I learnt through my exchange I will implement and I am also grateful for what I got to contribute to my host organisation. Cover photo: One of the farming cooperatives Agnes was working with during a maize planting session. The art of eating is continuously being changed by a number of professional and creative chefs, which has in turn increased the demand for excellent services in food production. This trend was concretised by the management of Fontes Foundation through the launch of the catering course on the 5th of February 2018. This course aims to benefit the single mothers and youth of the local community. As an Fredskorpset (FK) exchange participant, I am privileged to be in charge of the catering course at the Youth Centre. On the FK exchange I have not only gained skills and new experiences but I have also been able to share these experiences and skills with the youth of FYC. I am on exchange from AMIZERO institute in Rwanda. The exchange aims to share experiences and best practices between the two institutions. 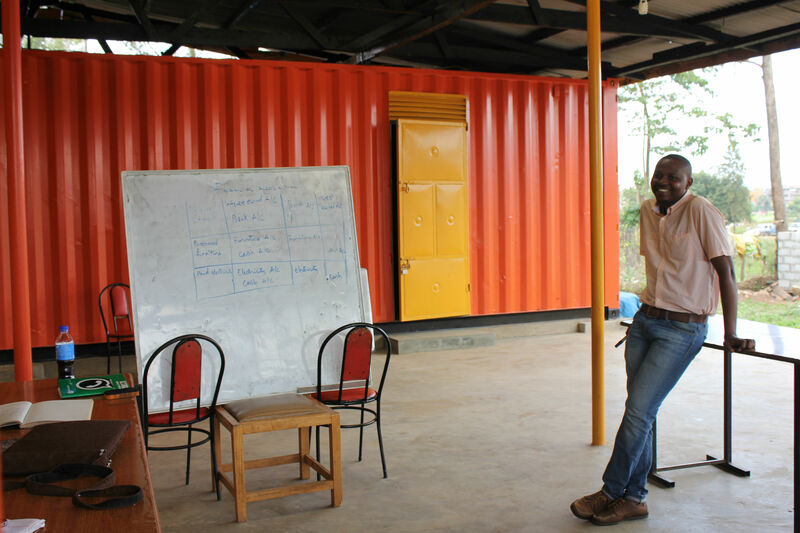 This exchange is between the Amizero Institute of Technology and Hospitality in Rwanda and Fontes Foundation Uganda. 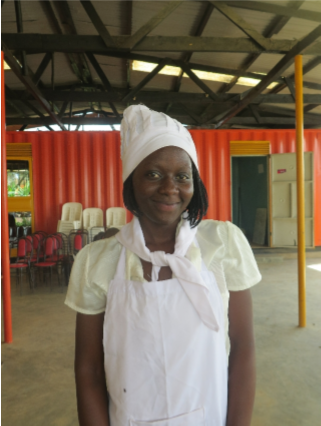 Since the introduction of the catering course, a number of single mothers and youth have enrolled. 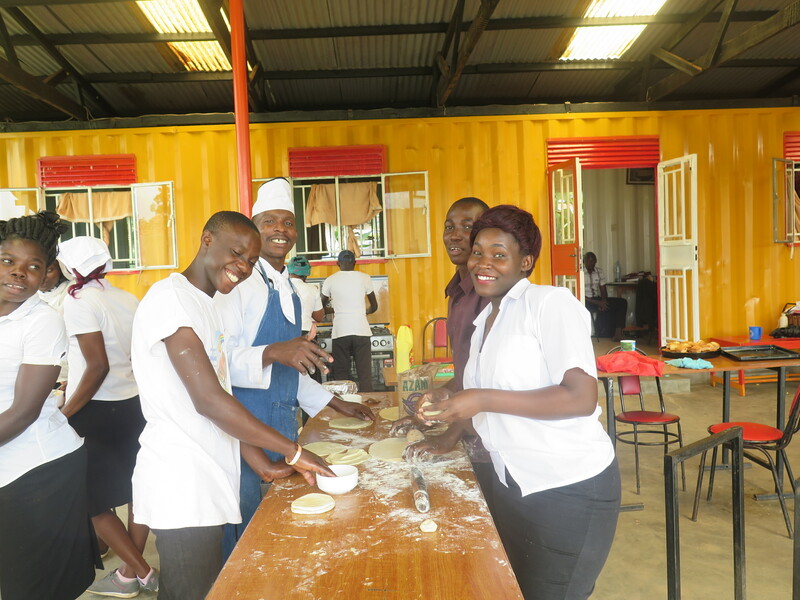 Through the course, they have gained cooking skills which now can be applied in any hospitality business, thus enabling them to earn a living. 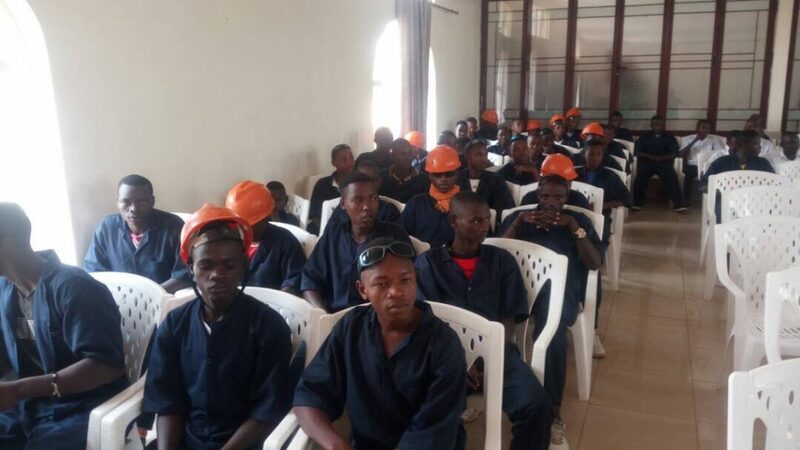 The first intake started on the 5th of February 2018 and ended on the 5th of July 2018. A industry attachment will follow, giving the students the opportunity to add expert practical experience to their skills acquired at the Youth Centre. 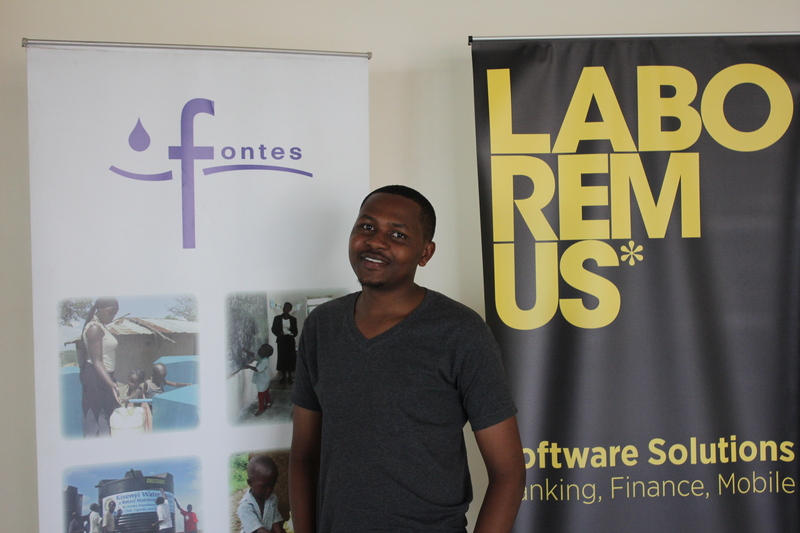 For the past 6 months Fontes Foundation has been lucky to have Serge Iradukunda from Rwanda working for us as part of his FK exchange programme. 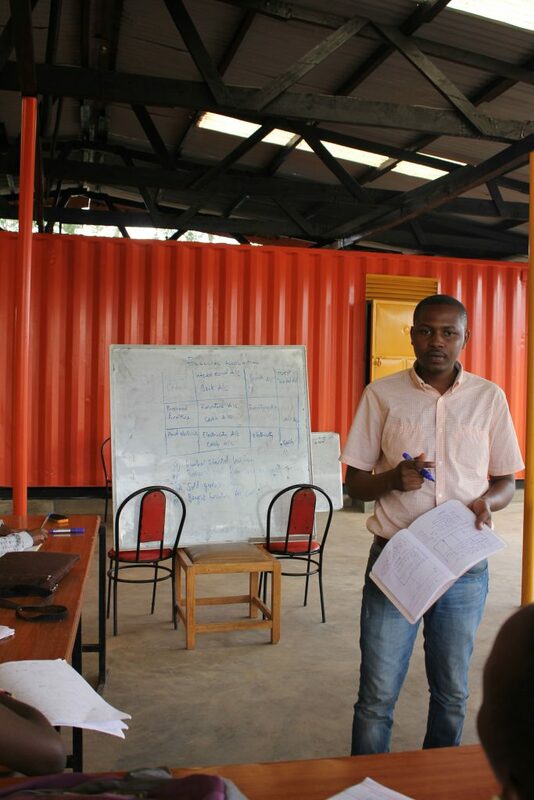 Before joining the programme, Serge worked as an Administrative and Finance Assistant at Amizero Institute of Technology and Hospitality (AMITH) in Eastern Province of Rwanda. I sat down with Serge last week to talk about his experience of joining the FK exchange programme and working for Fontes Foundation. What made you decide to participate in the FK exchange programme? I decided to join the exchange programme because I wanted to experience a new culture, improve my English language skills, expand my social circle and gain work experience abroad. How was it to work for Fontes Foundation? I really enjoyed working in a friendly and different environment with wonderful colleagues from all over the world. During my period at Fontes Foundation I have been involved in various activities, including organising capacity building workshops and events, planning and coordinating outreach activities in different areas of Kampala, organising Fontes first ever career day, which was a great success, and teaching at Fontes Youth Centre. What I like about Fontes is that the organisation offers personal growth and development opportunities during the programme as well as the chance to learn how to think outside the box. What is your best memory you have from your time with Fontes Foundation? I really enjoyed teaching at Fontes Youth Centre in accountancy. The students were great and I liked the way they were interested in the subjects I taught and asking challenging and sometimes funny questions about financial accounting and accounting principles. What will you take away from your experience? This 6-month exchange programme has been an experience I will never forget. My time at Fontes has been a learning experience, both personal and professional. It has shaped me as a person and I have gained new skills and knowledge that I would not have had if I had not participated in this programme. Thanks to this programme, I have grown as a person. Fontes Foundation would like to thank Serge for his contribution to the team, and wish him best of luck in his future endeavours. FK Norway is a Norwegian Government agency working to promote international and mutual learning. About 600 participants go on exchange each year through partners in Norway and countries in Asia, Africa and Latin America. Fontes Foundation strives to constantly review and improve its organizational processes, as well as provide educational opportunities for its employees. 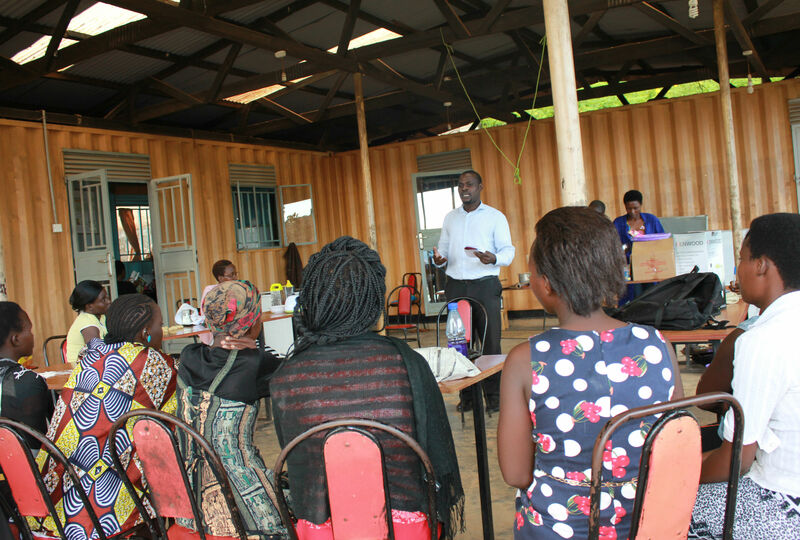 These two aims were combined in a workshop set up by our Fredskorpset (FK) South-South exchange participant Serge Iradukunda. Luckily, we were able to host Marit Blaak, who works as consultant for educational organisations in Uganda and is a PhD candidate at the University of Groeningen. 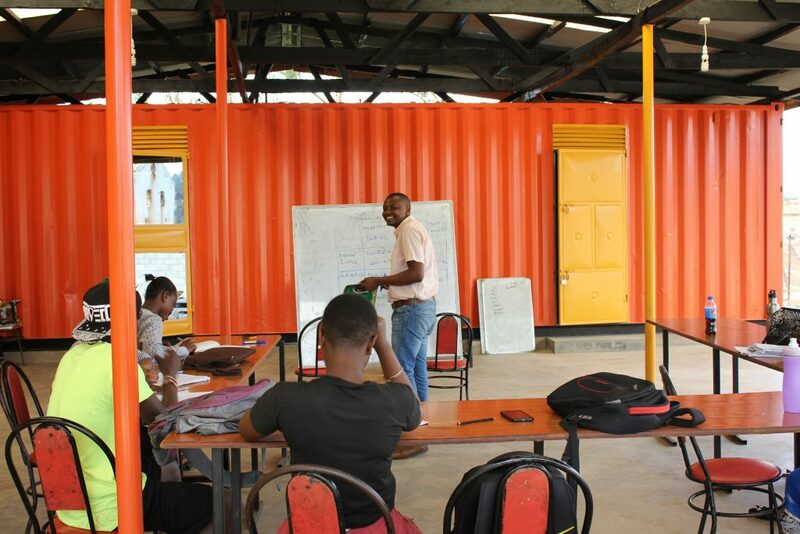 Marit sought to ignite a discussion on best teaching practices at Potentiam Youth Development Centre by having us reflect upon the diverse backgrounds and merits of our students as well as different learning types and how we deal with them in class. Thereafter, she asked us to come up with a common vision for the students and asked how we could adjust our teaching to more efficiently reach these objectives. The facilitators were glad to be given a platform to share their different teaching methods, discuss various approaches and voice challenges they face. The following session focused on what we need to change on an institutional level to make sure we reach the goals we set for our students and ourselves. Next to an improvement in infrastructure, we discussed how we could strengthen cooperation in our team and how we could facilitate the sharing of information among team members to create a more open organizational culture. The event was a success and Serge was delighted to have been given the opportunity to improve Fontes’ organizational structure and his own teaching skills. “I effectively learned in a compressed day what I could usually learn in a week. Marit was able to take the complex and make it simple. I now have a much better understanding on how to identify learners and develop practical facilitation techniques for different types of learners. 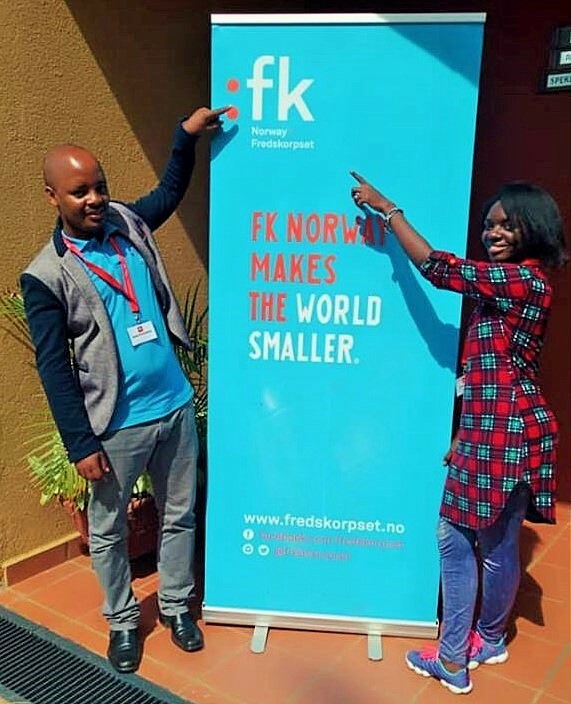 To develop young leaders and increase capacity in various organisations, Fredskorpset (FK), the Norwegian Peace Corps, conducts a South-South youth exchange programme. 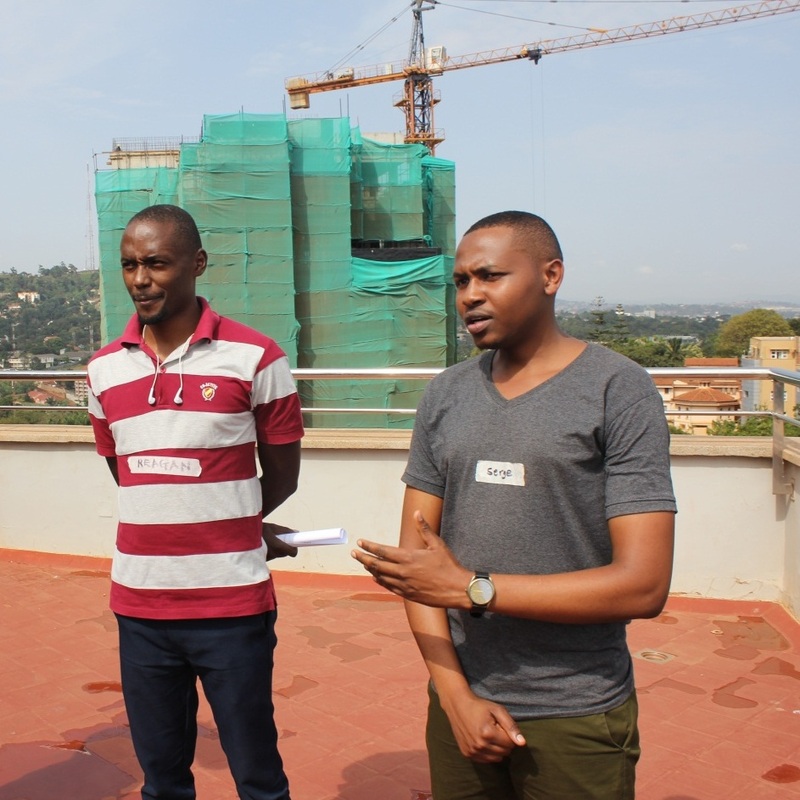 Fontes Foundation has been taking part in this project for a number of rounds now, exchanging employees with our Rwandan partner organisation for periods of six months. This term, we are happy to have Serge Iradukunda as a member of our team, who is supporting us as Programme Administrator and Accounting Assistant. Here are his thoughts on the exchange. MY EXPERIENCE IN FK EXCHANGE PROGRAMM SO FARâ€¦. It all starts somewhere. You pack your bags, you say goodbye, you forget at least three things that are important and you get on a plane! To fly away from what you have known as your home and your whole life. Career goal: The exchange is helping me decide on my future, who and what I want to be. Through taking every opportunity, embracing the culture, making new lifelong connections and improving my language skills. Additionally, I get the chance to gather valuable professional experience that will be of great use for my professional future. Personal growth: This exchange programme is giving me greater awareness of my identity. I am now always thinking about things from a broader point of view. My world has been expanded through intercultural interactions and communication, as well as a new working environment. This helps me grow as a person. Gaining new lifelong friendships: The exchange allows me to form new friendships with my fellow FK participants, my fellow workers at Fontes Foundation Uganda and people in the community I live in. We are happy to see how well Serge is settling in Kampala. Beyond that, we are delighted to watch him grow as a person during the exchange, at the same time as we are benefiting as an organization from his perspective.